Fire safety is a well-known branch of workplace training. But are companies really ready to face an incident? Workplaces should be prepared to deal with the risk of fire. Fire – it’s about as well-known as a workplace risk can be. That said, it’s important not to take fire safety for granted. Preventing fires and creating a safe work environment demands involvement from many different levels of an organization. Workers need to know how to keep themselves safe in case of an incident, and leaders need to ensure they are aware of – and working to correct – any risks their facilities may pose. The Bureau of Labor Statistics’ 2015 report on fatal injuries in the workplace, the most recent edition available, revealed 121 people died in fires and explosions. This is significantly lower than categories such as transportation accidents or falls, and encouragingly down 16 from 2014. However, the loss of those 121 employees should be taken seriously when company leaders ask themselves whether they’ve adequately protected their own workforce. 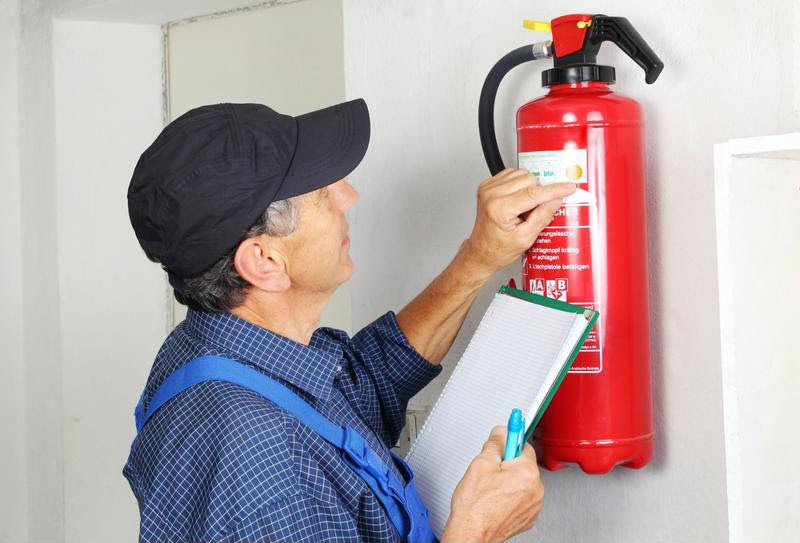 Fire safety is one of the areas overseen by the Occupational Safety and Health Administration (OSHA). Before delving into the specifics of getting in compliance, it pays to look at a few of the issues that have earned companies violations in the recent past. For instance, a Post Office in Missouri was found to be lacking in operable fire extinguishers or working alarm systems after an investigation in the wake of a grease fire. When employees went to fight the blaze, they came across at least two fire extinguishers that weren’t charged for use. Furthermore, the staff hadn’t been trained in either extinguisher use or the risks of fighting fires as they begin. The proposed penalty for the Postal Service is $87,297. OSHA handed down another recent penalty, for a chemical manufacturer that did not do enough to keep its flammable vapors from igniting. The check followed an explosion that injured four people and revealed a number of violations. Flammable liquids weren’t stored properly and there was no emergency drainage system, among other fire-code violations. The agency also noted the company’s pathways were too narrow to get fire equipment to the scene of an incident, should one break out. For these numerous issues, the price was set at $129,000. This shows that certain industries, due to the inherent danger of their work, have a host of extra difficulties to deal with. Fire extinguishers must be safe and ready for use. Fire protection is wide-ranging, and covers both preventive measures to minimize the chance of an incident and proper actions in case a fire does break out. OSHA notes a great deal of preparation involves the people who work for a company, rather than the environment or equipment: Employees must know what to do in all relevant situations. What does it mean to be ready? OSHA gave several examples of must-know information, including before-the-fact hazard training tuned to a specific work environment. If there is an element present that might cause a fire, employees should be aware of what it is and how to minimize its risk. Furthermore, workers should be ready to evacuate in case of an emergency, and know which individuals are assigned to specific tasks should the worst occur. Even optional fire prevention methods are governed by rules relating to training. For instance, OSHA’s fire fact sheet notes that portable extinguishers are not required in every work environment, but when they are present, employees have to be trained in how to use them. A lack of extinguisher training was one of the faults found in the Post Office example above. Employers in industries requiring action plans have a few extra elements to consider. These sets of practices need to have clear systems of warning which are explained to employees, along with training. Furthermore, the plan itself must be reviewable. These plans and strategies must account for people with all levels of movement and incorporate escape routes suitable for those with disabilities. Fire extinguishing systems such as sprinklers are the cornerstone of fire prevention in OSHA’s view. These have attached regulations, too, including the need for someone with the right training to stand watch whenever the systems are inactive. Letting sprinklers lay deactivated and unattended could have catastrophic consequences. With training, readiness and knowledge at all levels of the organization serving as key pillars of fire safety, it stands to reason that there are several popular video training courses available on this subject. These can differ by field, with training materials industrial environments, health care facilities and maritime operations among those available from MasteryTCN. Other areas of focus include fire extinguisher use, as well as OSHA’s rules on setting up escape routes and action plans. The idea of a fire in a workplace presents a clear and identifiable danger. When organizations deal with this risk proactively, setting up safe workplaces and preparing their personnel to respond optimally, they reduce the risk of an incident and set themselves up to perform well, should a serious accident occur. This entry was posted in OSHA, Workplace Health and Safety and tagged fire, fire safety, fire safety training, safety. Bookmark the permalink.